The world is becoming more connected, making it easier for people all around the world to collaborate and work together on projects. So much so, collaborative work accounts for 80% of our workday on average. Meetings form a large part of this collaborative work, however, they are not always the most efficient use of your time. Meetings take up more than one day per week on average just in preparation time, let alone the time spent attending them. Given this burden on your time, it is clear there is a real need for change. Better organisation is probably the most effective approach to coping with this problem. Organising your meetings into one central place gives you greater control and saves you time with meeting preparation. Most people try to use their calendar or inbox to do this but there are shortcomings to this. Only the person who set the meeting up can edit a calendar entry, so if the agenda is there, no one else can contribute to the agenda. If the meeting documents have been sent out prior to the meeting, they will be somewhere in your inbox and in reality they maybe across several emails and it is difficult to know which is the latest version, without spending a bit of time searching and collating those emails. What happens if you need some notes from the last meeting your committee had, how will you find those? 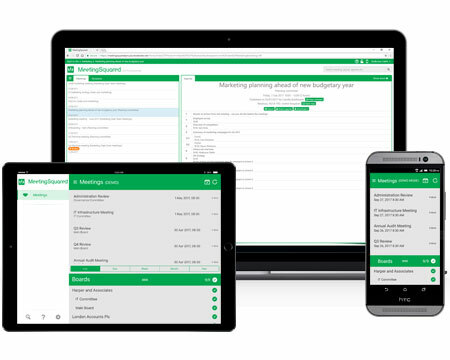 With MeetingSquared, organising and attending meetings can be a whole lot easier, solving problems at all three stages of a meeting – before, during and after. By giving your team access to all the correct and up-to-date meeting documents, in plenty of time before the meeting, you enable them to come to meetings better prepared, making them a more productive member of the team. During the meeting everyone has access to the same information in a structured format to make the meeting run smoothly and information and notes can quickly and easily be looked up from previous meetings to inform decision making. 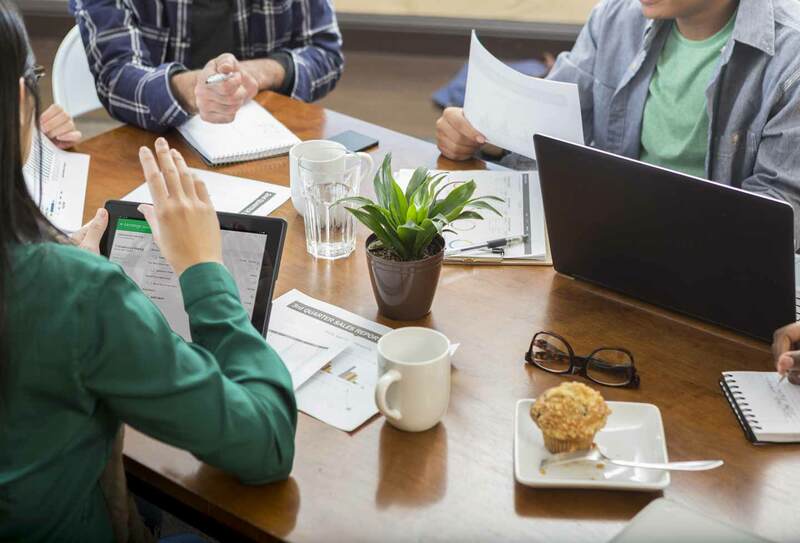 Notes and actions can be recorded, making the meeting outcomes clear, and follow-up easy. MeetingSquared makes your meetings more efficient and frees you from the tyranny of bad meetings. Want to know more about MeetingSquared and how it can improve your organisation’s meetings?